Umahi declares two days public holidays for voter registration – Royal Times of Nigeria. 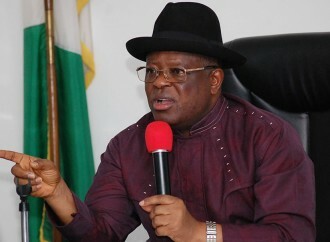 Governor David Umahi of Ebonyi has declared May 2 and May 3 as public holidays in Ebonyi to enable eligible voters to participate in the Continuous Voter Registration. Umahi made the declaration in Abakaliki on Thursday, when he swore in members of the State Law Review Committee, State and Local Government Area Pension Board. He said that workers on essential services such as banks and health facilities were exempted from the holidays. Umahi said; “We want to take the CVR and 2018 census exercises seriously and commence immediate preparations for them. “We have made it clear that we would negotiate with any aspirant for the 2019 presidency who will ensure the enhancement of Ebonyi people’s wellbeing. “We cannot achieve this objective if we don’t record high votes,’’. The governor also said that the state deputy governor would liaise with members of the state executive council, house of assembly, local government chairmen, to ensure the success of the exercise.